Over the last ten years of rifle hunting the north-woods, I gravitated towards working from the ground. 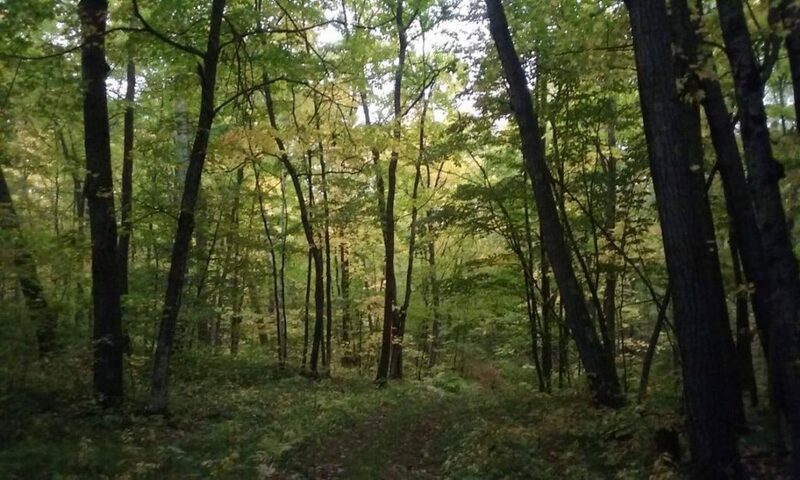 I would start my hunt from a favorite morning stand, but by 9:00, I’d have breakfast and hit the forest floor for a day of still-hunting, and set up in a natural ground blind for the afternoon ambush. Besides getting itchy feet, and not being able to sit all day, this approach offered many great hunting experiences, and presented opportunities to take my biggest bucks. When I picked up a bow for my first archery hunt, I carried this same mentality with me, but I had to re-learn the art of still-hunting from the archers perspective. With my trusty old Remington 30-06 semi-auto, I would push the hunt, knowing I could find my mark with a well placed off-hand snap shot. There were times I would bump deer, and still get off a clean look from a fair distance. Of course there were times the brush was too thick, or a wise animal kept cover between us, but there were many times I was able to get off a kill shot too. I learned quickly that my hunting margins became much narrower with a bow. A great example of this came about on my second archery hunt. I was with my buddy Matt again. We started our day out with a beautiful, but un-eventful morning on East Pine Lake, over-looking a stretch of meadow grass in the Tamarac Refuge. 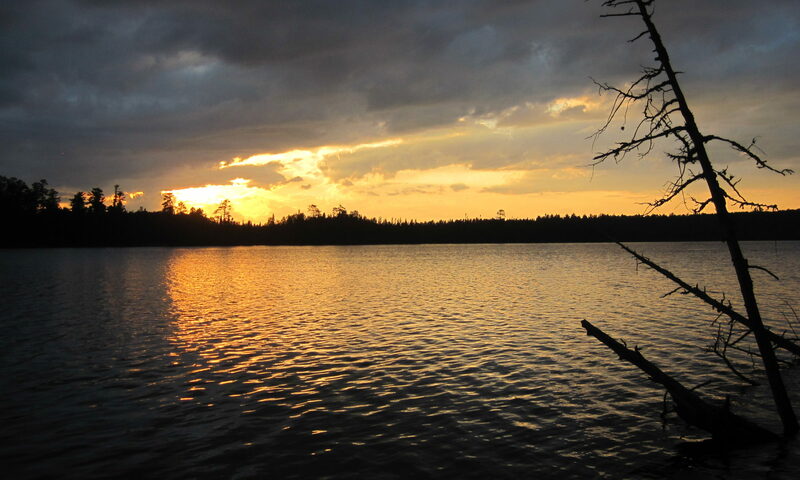 From there, we drove down the Blackbird Trail, and hiked in to South Chippewa Lake from the North Country Trail access. It was an amazing little trek about a half mile to where we wanted to hunt. It was new territory for both of us. 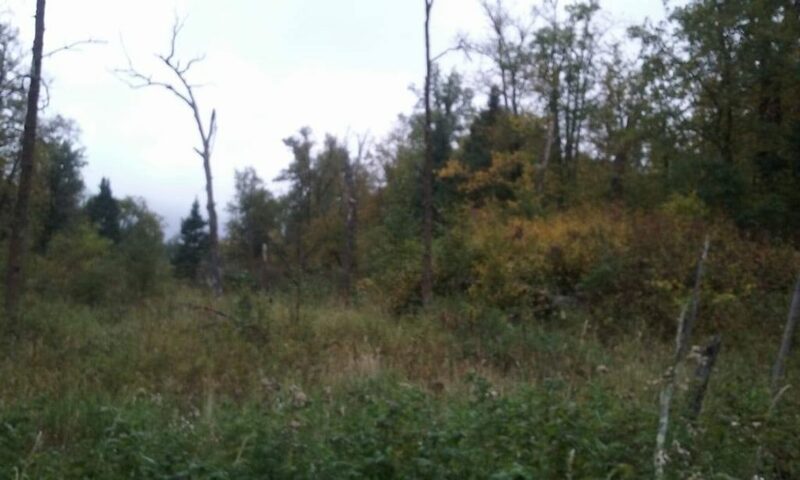 After crossing a spill-way constructed by the Conservation Corps way back in the day on the Ottertail River, the trail brought us to a stand of open hard woods. It was prime ground hunting county. 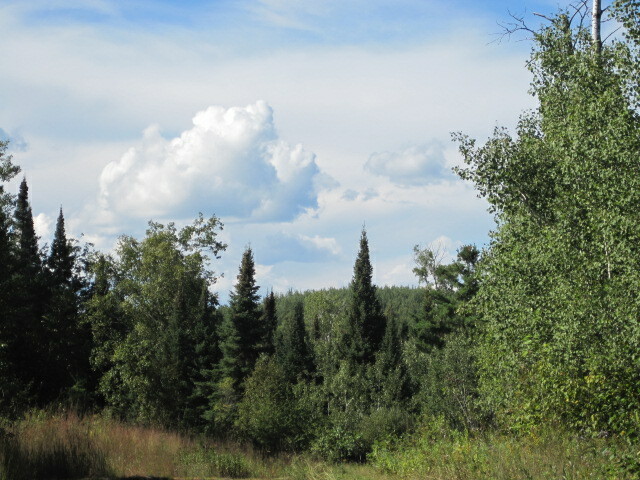 The woods offered great visibility, with many ridges and small slough structures. Matt took the Ottertail River side, and I walked on a ways and made my way to the opposite side of the high-ground. We had a good solid afternoon to work our way into spots for an afternoon sit, and planned to meet back on the trail at sun-down. I spent a couple hours still-hunting my way through the open woods. Stopping often, walking very slowly, until I came to the edge of the hard-woods and the terrain gave way to a long, low slough . A perfect area to set up on. I followed the transition for some time, until I came to a spot that offered a great view of the slough, a flat spot in the middle of the incline, and also a view of the hard woods. It was a fine spot. I had some decent cover, and could see quite a ways from my perch. I was set-up for the afternoon sit with plenty of time to watch the forest change to evening, and possibly have a chance at an unsuspecting deer… now for a little hunting tip! I had done everything right up untill that point. I had studied Google Earth to get a lay of the land, I hunted into the wind, had pulled off a nice quiet still-hunt, and found a good ambush for my evening post. How could I possibly screw this up? By still operating from my old gun hunting mentality! Remember I said I used to push my ground hunts, knowing that I could compensate with my trusty semi-auto and some quick shooting. Well, not so much with the bow. I learned a good lesson on patience. After a good hour I became restless and started thinking, maybe I should move back down the ridge towards where I had come into this little area. Man, there was some sweet spots a ways back, and it happened… I talked myself into getting up, and trying to sneak back down to some other areas that offered promise. Mind you, I stayed in a still-hunting mode, but as I was sneaking back along the slough-line it happened. I took a step, and heard a deer bust out about thirty yards from me! I instantly knew the deer had been coming towards me, because it had not been bedded there when I had hunted my way through a couple hours before. Stupid! Stupid! Stupid! I just stood there, realizing I had basically busted a whole afternoon hunt. After several very long minutes, I meandered a few minutes until I found a spot to sit, plopped my sorry behind down, and watched the forest slowly grow dark. If I had been rifle hunting, I may have been able to quickly get around the brush and get a shot at that deer, but then again maybe not. My big mistake was obviously getting up and moving, and I learned a vital lesson about ground-hunting with a bow that day. Once you put on a good still-hunt, and get into an area deer are not expecting you to be… Stay Put! How do I tell a story that spans a lifetime and involves so many different people and experiences? I could start by describing my early years of deer hunting and the back-woods crew that took this young green-horn under their wings. Or my first attempt at shooting a bow. It was a total failure. I could tell you about my closest friends that helped move me towards archery. There is the story of my ‘Super-Bowl’ of deer hunting, the ultimate still- hunt, which I could not have scripted any better with my buddies at our first Round lake Deer-Camp. The success of that hunt seriously turned my thinking toward taking my hunting to the next level. How about walking into a local pro-shop for the first time and being greeted by a very friendly staff that pulled a lefty off the self, gave me a few pointers, and let me sling some arrows for the first time. That felt so good! Buying my first old used Hoyt Raider bow might be a good starting point. Or the day a friend at church blessed me with an almost new Hoyt Ultra-Mag that he did not use anymore… I had to hold back the tears on that one! All these events certainly have a place in my archery journey, and are worthy of a short story all on their own. But I think I have to start telling my tale from the very first day I stepped into the deer-woods holding a bow. 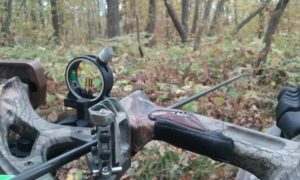 I set out with my buddy Matt for the Tamarac Refuge on the opening day of the 2017 Minnesota archery season. He was also a first time archer and our sleepless nights, dreaming of the bow hunt, where finally a reality! After pouring over Google Earth, we decided to hunt the Waboose Lake area. My very first plan was foiled. 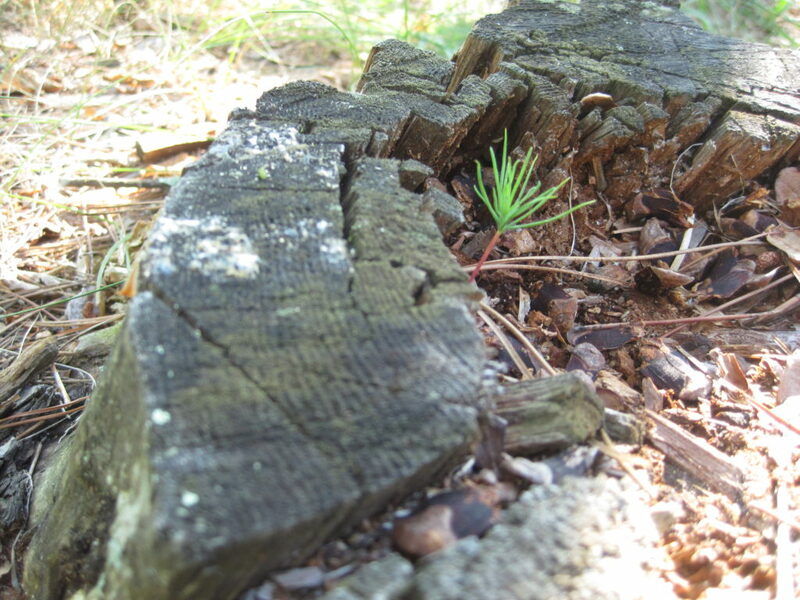 I had hoped to walk the edge of a clear-cut and set up along a ridge on the back-side after a quarter mile walk. The under-brush and new growth proved to be thicker then I anticipated, not having scouted it pre-season, so we made a quick call to back-track, and drove to the near-by Dry Lake trail. After a short walk we came to the west side of the clear-cut. Using logging trails, Matt and I were able to move into the cuttings with a fair amount of ease. 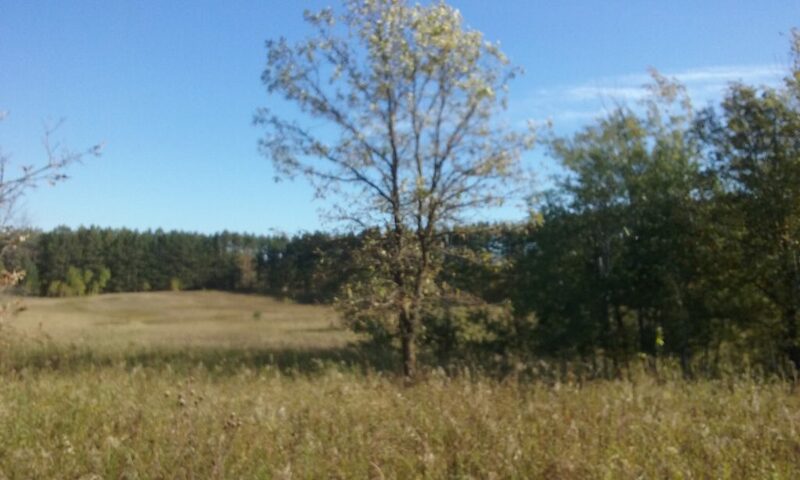 The area offered a lot of running trails and deer beds for us to imagine early season bucks behind every brush-pile. After posting for awhile, we met up for a breakfast break about mid-morning. No animals had been spotted moving, but we were so excited to actually be out in the woods, it did not seem to matter. We were like two kids on Christmas morning! After kicking around Waboose Lake for awhile, we decided to head up to my hunting area at Round Lake and walk a trail for an afternoon sit. The late summer cover was stifling! 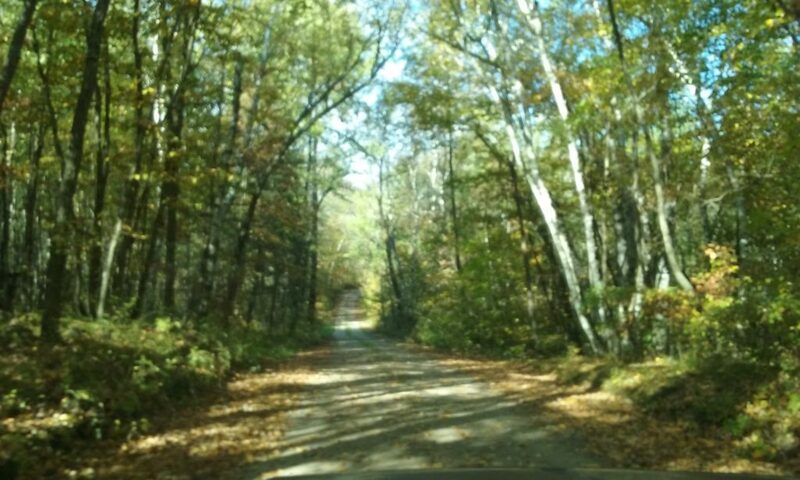 It is such a different atmosphere then the open deer-woods of November. We felt like a deer could be ten yards away in the thick jungle-like foliage, and we would not even see it. Matt and I walked out to a point of land, defined by a big Beaver Dam I wanted to cross, we took a short lunch break when it proved to wet for a late summer crossing. We were just making it up as we went, and having the time of our lives! It was time to get set up for the evening sit. We followed the narrow walking trail to another one of my favorite spots and stealed our way into an open Oak ridge. 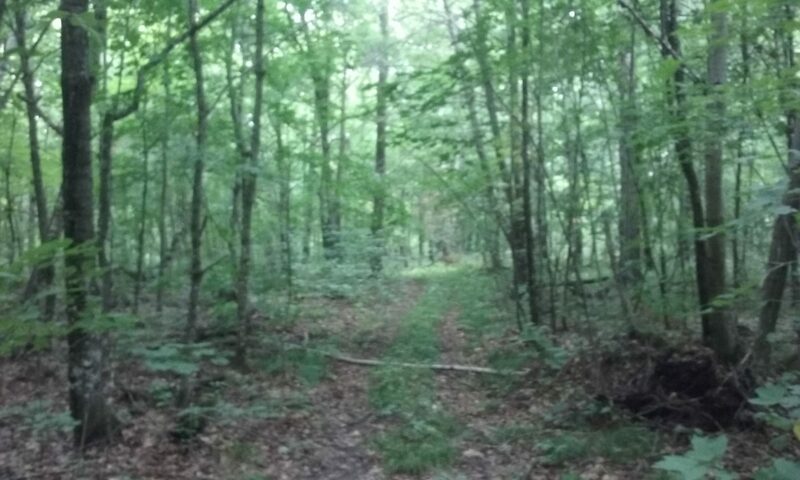 I had always noticed deer movement in this clearing. Matt settled into some good ground cover, I went on a ways until the terrain sloped down to a small creek and I found a place to watch the grassy bottom. I waited. It was quiet. The air was dense with no evidence of the changing season. Some flies discovered me and enjoyed dive bombing my motionless lack of defense. I heard the forest floor pop from time to time. Acorns! The exciting first day of archery turned itself over to long shadows and darkness. I made my way back towards Matt and would have walked right by him if he had not stopped me with a short whistle. He emerged from the woodland cover like Rambo, and we greeted each other with smiles that refused to disappear! As we walked back to the truck it was impossible to contain our enthusiasm. We both felt like we had been transported back in time. 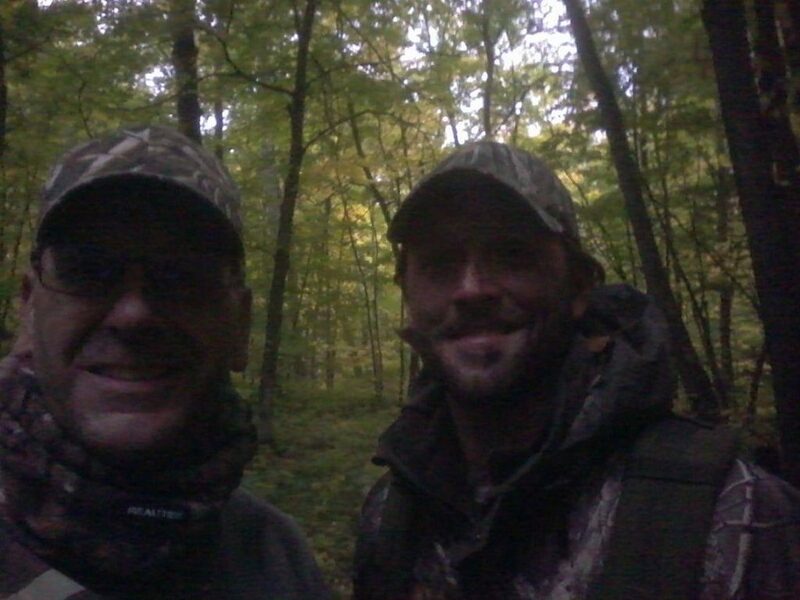 Although neither one of us caught a glimpse of a Whitetail that day, it was a successful hunt, because we had been there. The pure joy and simplicity of being in the forest with a bow was contagious. This was a new day! It was the first of many adventures to come, and we were hooked on bow-hunting!